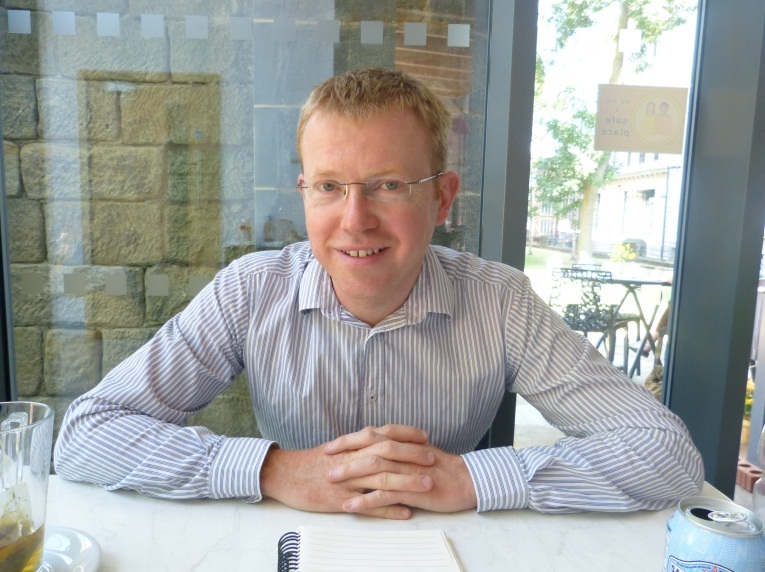 We were lucky to meet Rob Greenland, Co-Director of Social Business Brokers CIC, who deliver the business support for “Ideas That Change Lives” and who kindly agreed to be interviewed for our Better Lives Blog. Hi Rob, can you tell us a little about “Ideas that change lives” – what do you do? “Ideas That Change Lives” is an Adult Social Care council run fund. It looks to invest in people and organisations that want to set up a social enterprise to deliver support to people, to help them live independently. In short, it’s an example of how the council is looking at different ways it can support people to live in Leeds, especially as there is an increase in our ageing population. We need to think about how we support these and other vulnerable people to live the kind of life that they want to live. The fund is about supporting social enterprises to deliver some of these services to people. Why do you think there’s a need for this type of organisation? I’ve mentioned that we need to find different ways to help people to live the kind of life they want to live. The council has a role to play there; it can deliver some of the services needed but I think we also need other organisations looking at alternative options to support people. Hopefully this is one way that social enterprise, charities and third sector organisations can help to do the things that the council sometimes may not be in the best position to do – keeping it local for the communities people live in. How does this contribute to Adult Social Care’s commitment to making a ‘better life for people in Leeds’? It’s recognising that the state can do certain things and there are other things that the local authority can do, but might not be best placed to do so. With so many people needing support, and with so many different types of support required, it’s an impossible expectation to think the council can provide it all! There’s a definite need to look at more creative ways of giving services, and the council are supporting this by funding these sorts of initiatives. Also there is a practical aspect – that not everybody is eligible to get support from Adult Social Care. Most of the social enterprises that we work with are working with people who need to pay for services themselves, they can go to the private sector if they want to. We’re trying to give these people an opportunity to be able to get some services from social enterprises. It’s broadening the options available – surely a positive way to have the choice they probably want to have. ITCL comes under the Better Lives through Enterprise strand. What does ‘enterprise’ mean for you? I like to think of enterprise as a verb rather than a noun – so something you do. I’m interested in being enterprising, thinking of ways we can help people to live independently and to keep doing it for the long term. If it’s a service that people pay for, and they are happy, they usually won’t mind paying if they think it’s a good value for money. What does social enterprise mean for you? Most people think we are a social enterprise because we’re a community interest company or a company limited by guarantee – that is important but I think the most important thing is what people do. I think our interest is in helping people to come up with creative and sustainable ways to continue to deliver some kind of social purpose, whether it’s a cleaning service, a gardening service or helping people to so some small tasks around the home. We want to help people set up social enterprises that can do that in the long term. If I had an enterprising idea, how would I get started or get access to the support and advice you give? In practical terms, you just get in touch with us via our website or give us a call; we would then arrange to meet with you to explore your idea. It all starts with a conversation to understand if there is a need that you can meet and how you’re going to meet that need. We have regular investment briefings where we meet a person to talk about their idea and explore whether it’s something that is likely to fit with the priorities of the fund. We also explore whether it has the potential to develop into a social enterprise and able to generate income, either from selling the service to people or from others paying for the service to be delivered. There are two funds, the Kick Start Fund which is for very early stage ideas, looking to do some research or some test trading to try out their service with a few customers. And then there is the Main Investment Fund which looks at funding the start-up costs to get the business idea up and running. Both funds are currently closed to new applications – but are due to open again in the Autumn. But we’re still happy to chat with people to explore their idea – so they can be ready to apply when the Fund reopens. We basically do the promotion of the fund and offer business support to anybody who comes to us with an idea. We work with them to help them develop and explore their idea. If they want to develop a business plan we can help them, not by writing it for them, but we can give them feedback and advice. When people are successful, we can help them in the early stages to set up the social enterprise, we can act as their mentor and help them develop their idea. I like working with people with ideas but are in the early stages of that idea – if it’s right, if it can help the community, we assist to make them realise what they want to do. When you take someone who’s got a broad sense of what they want to do, but it might be the first time they set up in business, that’s the really interesting part. We can help them clarify their idea, do a bit of planning with them to understand what they need to do to develop their idea and how to set it up. What are the main challenges for you? The challenges are the same as any other business, especially in the current economic climate. I don’t know the statistics but a lot of businesses fail in their first three years – that’s what happens. It’s hard as it doesn’t matter how much research you do – you never know whether your customers are going to buy your service or not until you start providing it. Another challenge for social enterprises is that they usually don’t have any other means of income apart from what they earn through the business; this can make it difficult to employ somebody on a full-time basis from day one. What difference have you seen for people in Leeds, thanks to the support of ITCL? I think the start-up funding is really important to people, it has given them the confidence to set up their enterprise and it can help with start-up costs like legal costs and a contribution towards wage costs. I think the other difference we can make is just to be the people who are working alongside them; to help with any problems they’ve got whether it’s about marketing, finance or how to work with Adult Social Care on personalisation or personal budgets. We don’t pretend that we have all the answers but we have contacts that may be able to help, and we can offer someone to talk to and support. If you can offer that support at the right time and in the right way, that could help them move on and deal with the problems themselves. Many thanks Rob for sharing your thoughts and experience with us.